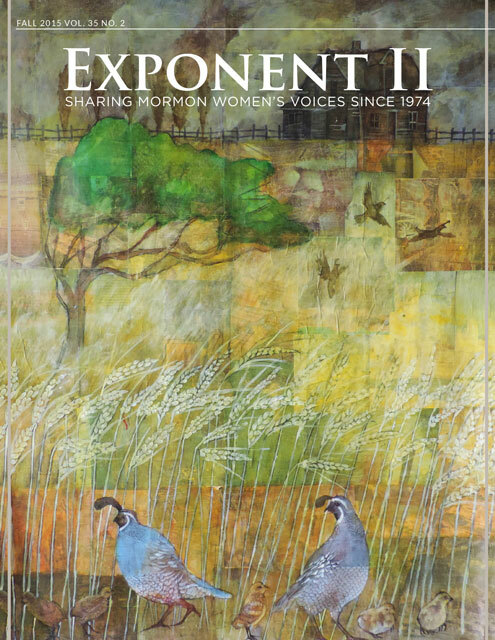 Exponent II’s first online issue is now available at www.exponentii.org, and it’s a mighty good one, I might add. It has pieces from some of my favorite women. “The (Not-So-Perfect) Primary Program” had me sniffling by the end, and I can’t stop thinking about “A Time to Keep Silent and a Time to Speak,” about sexual abuse and how we as individuals and members of the Church can help survivors. Then, there’s the great new look of the paper; I love seeing the whole issue in color! Click here for a year’s subscription (there’s 4 issues a year for $10), and you’ll be emailed the username and password for this issue. You have to pay to read it? I predict it will be very hard to match the readership of blogs (including your own!) with that requirement. It seems a little churlish to ask for money for an electronic text in any case.